I will start with two truths: You will never be able to meet all of the needs of a single person, and no single person will be able to meet all of your needs. You should not view these statements in the negative; they are only meant to make you pause and reflect. The information I present to you was learned the hard way. I am by no means a relationship expert. In my twenties, I dated a woman who was obsessed with proving herself to her friend. She spent so much time and energy doing things for her friend, but her efforts went unreciprocated. She told me that, one day, her friend would realize everything she had done and they would have the friendship she felt she deserved. This never happened. The notion that a person would toil away in obscurity to finally have her efforts recognized is romantic, but foolish. It would be wonderful to have someone sweep into our lives understanding everything we needed and, fulfill those needs, someone who just “gets us.” Sometimes we meet these people, but you could spend a lifetime waiting for them to come. I was no better. In this same relationship, I did everything I could to make my girlfriend happy. Whenever there was a problem, I tried to fix it. I went so far as to propose to her because I thought that would make things better. Even after our engagement, I still could not seem to make her happy. My female friends told me what a great boyfriend I was and how much they wished they had one like me. If that were true, why was I unable to make the woman I loved happy? In my mind, that was my job. You work to make the person you love happy, and she will do the same for you. That is how it works, right? It was years after the relationship ended that I realized I was wrong. You cannot make someone else happy, nor can someone else make you happy. Others can only help us be happy. The weight of the responsibility for happiness rests on the shoulders of each individual. As much as I tried, there was no way to make my girlfriend happy unless she wanted to be happy. I had been so consumed with this Sisyphean task that I had completely neglected my own needs. In all relationships (with friends, family and romantic partners), there is normally a natural ebb and flow of time and energy satisfying the needs of each person in the relationship. A problem arises when this give and take becomes unbalanced. This may happen abruptly or slowly over time and is not inherently malicious. Life is a process of constant change, and humans, over time, change behavior from conscious to unconscious. The things we do for others start to become automatic. Behaviors that once required our full attention to perform require less conscious effort and become routine, similar to the way our drive to and from work becomes automatic; you may find yourself in your driveway at home with no memory of the time after you left work. In a relationship, the comfort we find in the unconscious routine we have developed can be taken for granted. Our unconscious behaviors stay constant without the conscious thought required to take notice of them or change them, while life does not. When the things we have come to expect are no longer available, we may not immediately detect their absence. This leads to a feeling of being unfulfilled, and the source may not be obvious to us. The obligations of life take precedence in our conscious mind: You are aware of what needs to be done at work and home and of the needs of others because they are being constantly communicated to you. Your needs and desires may become drowned out in the cacophony of everything in life that seems to demand your attention. Eventually you may find a gap between what you give to the needs of others and the attention being given to your own needs, which creates a deficit in your mental, emotional, and/or physical energy. Like a battery, if we expend our energy without being recharged, we become drained. You need to receive as much as you give. The deficit between give and take can be tolerated, but not indefinitely. You must find a way to recharge and ensure your needs are being met and will continue to do so. This is not a guide to becoming egocentric and selfish; it is a method to obtain self-awareness and to stop being selfless in an unhealthy way. The first thing you will need is distance from the constant needs that are draining you of your energy. This can be as literal as removing yourself from the people making demands on you or as simple as finding some time to quietly be by yourself. You need perspective. The old saying about not being able to see the forest through the trees applies to an inability to understand a situation that you are in the middle of. To be understood, a situation requires an objective viewpoint and enough distance and time away from the situation so that you are not influenced by its circumstances. You need to be able to view yourself without the influences of others. Often we become what we do. People view us by what we provide to them and others. You need to be free of this influence so you can see yourself, unbiased. Next you will need understanding of your personal situation. In this time of distance, you must reflect on what you give, what you receive, what you want, and what you need. The definition of the words “Want” and “Need” are specific to each individual. I will define “Need” as something that you must have and “Want” as something that you would like, but it is not essential to your peace and happiness. It may seem like looking for the missing piece of a puzzle without knowing what the picture even looks like. Take your time and be patient with yourself. Self-awareness is not immediate and may take more time if you are usually more concerned with the world outside of yourself. The key to unlocking the door of self-awareness is introspection, looking inward. There are many processes of introspection, but they do not have to involve meditation or guided questions to greater self-understanding, just take time to think. In an environment without distraction, reflect on how you feel, without guilt. What you feel is honest. Don’t be concerned with being angry with someone you love. You feel that way for a reason. Your emotions are legitimate; leave yourself open to them because they are trying to tell you something. Once you have allowed yourself to feel, think about why you feel that way. This is the point at which you may start to understand which needs are no longer being met, and how they came to be unfulfilled. If you are feeling lonely, maybe an intimacy in one of your relationships has dwindled or may even seem non-existent. Friends or family may no longer be nearby, or you or your significant other may have become busy with new obligations and have less time to spend together. Even after you feel you have come to understand your need, keep digging. Continue to think about how you are feeling and why. Think about what changes might fulfill your need. You may even come to understand that what was making you feel a certain way was not as important as you believed, or something you thought was inconsequential is critical to your peace of mind. Two points to remember: Emotions are not rational and reason has no empathy. Consider that what you feel is a symptom of an underlying malady, and reason is the method to diagnose the cause of what afflicts you. The problem is that reason and emotion come from two different places and both are necessary to understand ourselves. Self-awareness requires repeated introspection; a process of feel then think, feel then think, until you reach a point where you recognize an emotional response without being overwhelmed by it. Then you can investigate the root cause of a feeling with both reason and emotion. After coming to understand what it is that you need, you must communicate that need to yourself and others. If you do not ask for something, you have no right to expect it. You must first be honest with yourself. You have at this point come to an understanding that something that you need is missing. Now believe it. Don’t tell yourself, “It’s not a big deal” if it is, in fact, a big deal. It has bothered you enough to get this far in the process. It matters. Next communicate your needs to others. Tell your friends that you want to hang out more. Tell your family that you can’t make it to a holiday gathering because you have something else that requires your time, even if that something is you. If all of the overtime at work is taking away from your time with your family, talk to your boss. You don’t have to be demanding, but you may be surprised at how understanding he or she may be. Your boss might not give you time off but, he or she may have a greater appreciation of the time you are giving to your job. Make sure you use tact when you communicate your needs, help them understand what you think and how you feel, and listen to their feedback. If you are calm and clear when you communicate your needs, you have no need to feel guilty for asking. It will not always be about asking others to fulfill your needs. Communicating your needs to others (and yourself) can just be informing them that you need something and your plan to meet that need. Know, however, that you may be the person who has to meet your own needs. A single cycle of these steps may not be enough to ensure that your needs will be met. More than likely it will be repeated multiple times, and it should. Your life and needs will change as will the lives of those around you. Something we want may fade with time or become a need we cannot be without. Without stopping to assess your needs regularly, you may find yourself with another deficit that requires balancing. Spend as much time considering your own needs as you spend on the needs of others. Putting yourself first ensures your needs are met, that you are healthy of body, mind, and spirit. When your needs are being met, you will be better equipped to meet the needs of others. Thomas is a current student and future writer (if he listens to my advice, that is). His process analysis essay on putting yourself first was so well done that I had to share it on my blog (with his permission, of course). I hope you enjoy it as much as I did. 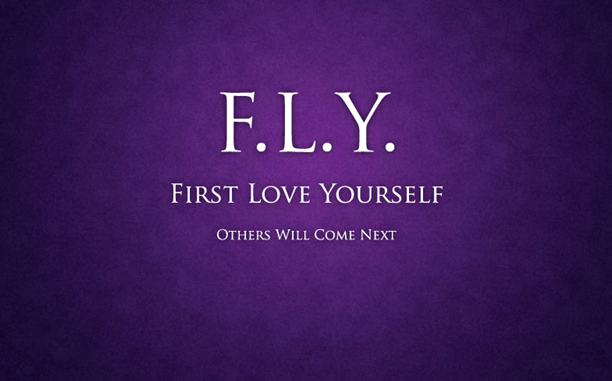 This entry was posted in A New Start, Guest Blogger and tagged loving yourself, self help. Bookmark the permalink. Awesome advice. Must share and re-read it myself, often. Thank you!